Global equity markets were muted in September. The US stock market was up 0.57%, international equity markets were up 0.78% and emerging markets were down 0.53%. The S&P 500 hit another all-time high during the month while foreign markets continued to struggle. The 10-year US treasury interest rate ended slightly above 3.0%. During the month the Fed Funds rate increased to 2.25%, as the Federal Reserve continues to signal further rate hikes for the rest of 2018 and into next year. The US Stock Market is in the Lead. For Now. Contrary to what many believe about the stock market, things that have been working have a tendency to continue to work – until they don’t. At present, many US stocks are not only at their highest levels but on a price/earnings basis, US stocks are trading at a 12% premium to an MSCI index of 22 international developed markets and 24 emerging markets. That is the biggest gap since 2009, according to the Wall Street Journal. 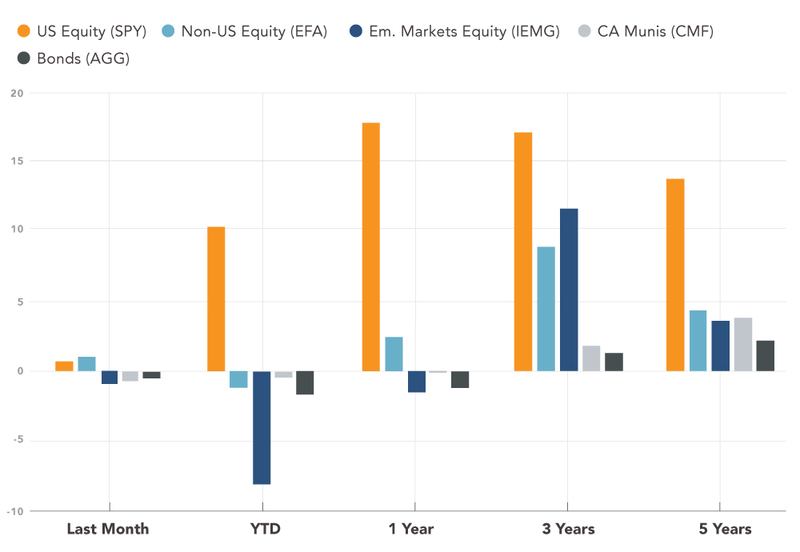 Nevertheless, emerging markets returned close to 40% in 2017 despite their lackluster performance thus far in 2018. On average, investors would be happy to have had that asset class in their portfolio. 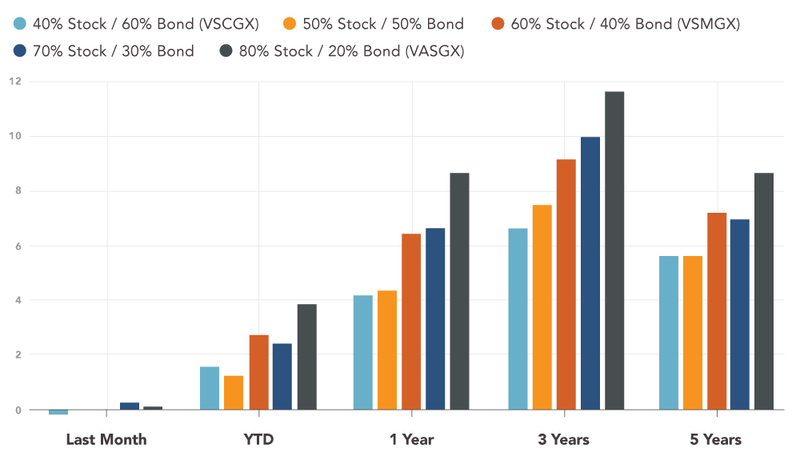 Since no one can reliably predict how markets will perform in a given year, the most reasonable approach is to diversify; especially if you are taking income from your portfolio. Remember – you get rich being concentrated, but you stay rich being diversified.